2001 Chrysler Town and Country LXi Handicap / Wheelchair minivanIt&apos; s in very good condition - drives and handles very well. 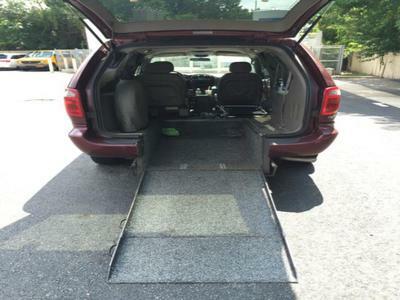 No mechanical issues (that I&apos; m aware of).Rear ramp is manual for wheelchair accessPower windows, seats, doors and locksAlso included - 3 additional leather that can easily be installed/uninstalled. All interior is in excellent condition.- Set of 4 wheelchair tie-down straps included as wellAlloy wheels. ac and heat controls for front and back work great.Dual power sliding doors.Selling because we don&apos; t have a use for it anymore.